Residential relocation in Singapore is never an easy task. It can be a stressful situation, from planning, packing, relocating, to unpacking. There are a lot of bulky and valuable items to consider like kitchen wares, electronics, mattresses, and antique vases and furniture. A professional and experienced residential moving company can save you a lot of time and effort. 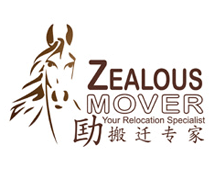 Zealous Mover is considered to be among the finest residential movers in Singapore. We offer the best packaging and moving services. Our wide range of house moving services provides secure and well-organized transport for your household belongings. We understand the importance of good planning partnered with our clients for a successful execution of your tailor-made moving services meeting your requirement. Our residential moving services are entirely customised based on our client's unique needs. Our professional staffs are trained in handling your belongings to ensure maximum protection using our moving technology and protective wraps. Our trucks are especially designed to facilitate the secure transport of your household belongings. Your belongings are professionally packed, loaded on our truck, transported to your new home, unloaded on our truck, and placed in their respective rooms. Zealous Mover assure you that your properties are securely packed and safely transported to your new home. We know exactly how to handle especially your fragile items. We will make sure that your residential relocation is efficient, and right on schedule for you to settle in your new home right away. For more details on our residential moving services, contact us.